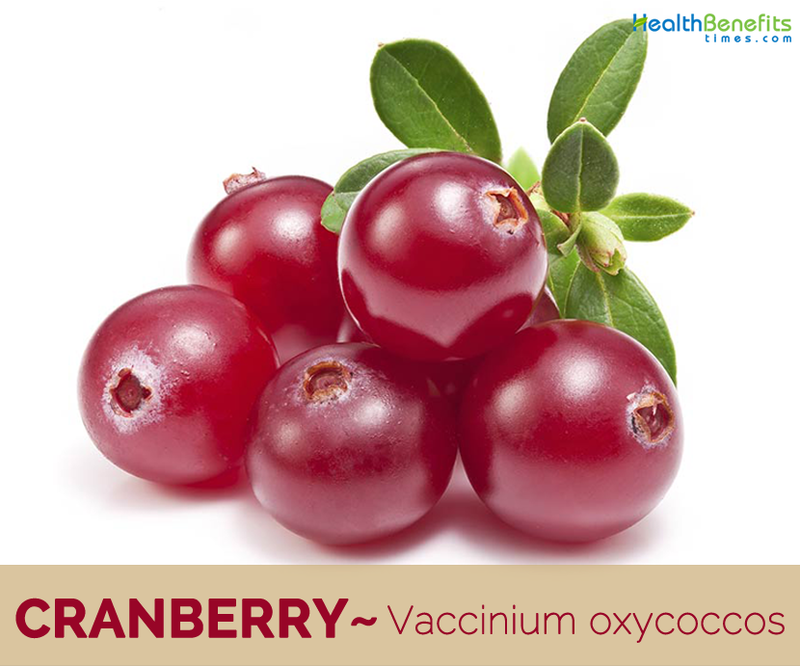 Vaccinium oxycoccos commonly known as Cranberries are a fruit that is native to cool temperate northern hemisphere, including northern Europe, northern Asia and northern North America. Cranberries are now grown in 18 different counties throughout central and northern Wisconsin. It is a species of flowering plant in the Ericaceae (Heath family). Some of the popular common names of the fruit are European cranberry, Cranberry, Moss berry, Small cranberry, Bog cranberry, Marsh berry, Swamp cranberry, Small cranberry and northern cranberry. They were used by American Indians for food, clothing dye, and medicine. 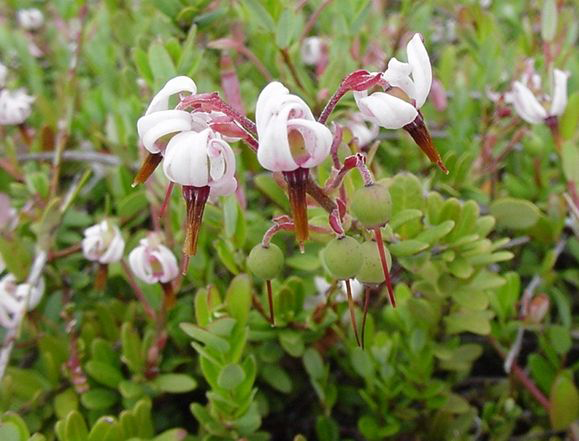 Europeans named the fruit “crane berry” because they thought the blossom looked like the head of a sand hill crane. Commercially-grown cranberries in the northern United States and southern Canada are somewhat larger than the wild varieties grown in the southern regions of the U.S. and throughout Europe. 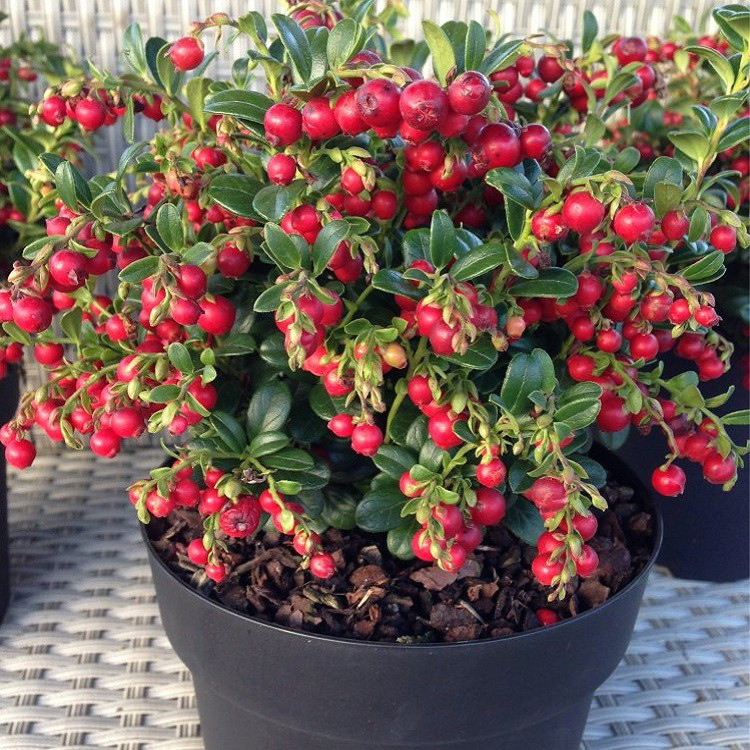 Cranberry is an evergreen, dwarf, creeping shrub or a low-lying trailing vine that grows up to 2 meters (7 ft.) long and 5 to 20 centimeters (2 to 8 in) in height. 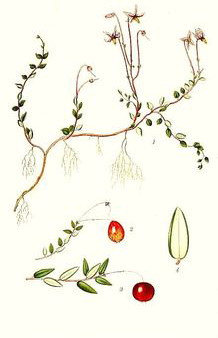 The plant is found growing in ombro-trophic sphagnum bogs and minero-trophic fens in moist coastal and boreal forests. 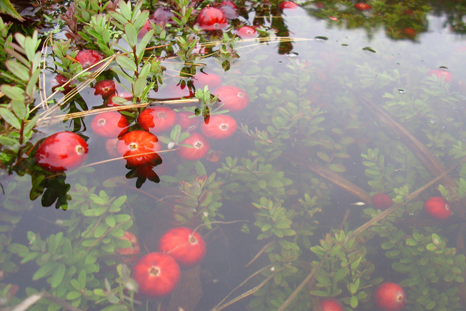 The best cranberry grows on different kinds of open, sedge and low-growing swamps as well as mossy open bogs. The plant grows on the poor, acidic soils (such as sandy bogs and marshes). The plant has slender, creeping, wiry, not so thick, woody stems and root at the nodes. Branches are slender and wiry, new branches erect to ascending, 4 to 5 inches long, brownish and minutely hairy or smooth. Older branches become dark reddish brown and smooth, spreading horizontally 1 to 2 feet, rooting at the nodes. Stems are often hidden under the moss. Leaves are simple and alternate, leathery and evergreen, toothless and hairless, ¼ to 1/3 inch long, 1/10 to 2/10 inch wide, oblong-elliptic, the base rounded and tips tapering to a point, and a very short stalk. The upper surface is dark green, smooth and shiny, the sides and edges typically strongly rolled under with the leaf tip reflexed upward; the lower surface is pale green and smooth with a white, waxy coating. 1 to 4 nodding flowers on long stalks, arising singly from axils of leaf-like bracts at the base of new shoots, the shoots rarely elongating. Flowers are ¼ to 3/8 inch long, white to pinkish with 4 narrowly lance shaped petals that tightly curl back, like a lily. Projecting from the center is a tight cluster of long, slender reddish stamens and a single, slender style that is longer than the stamens. The stalks are minutely hairy, often reddish with two opposite, tiny scale-like bracts that are typically at or below the middle of the stalk. Flowering normally takes place from Jun to August. Flowers are pollinated by bees. 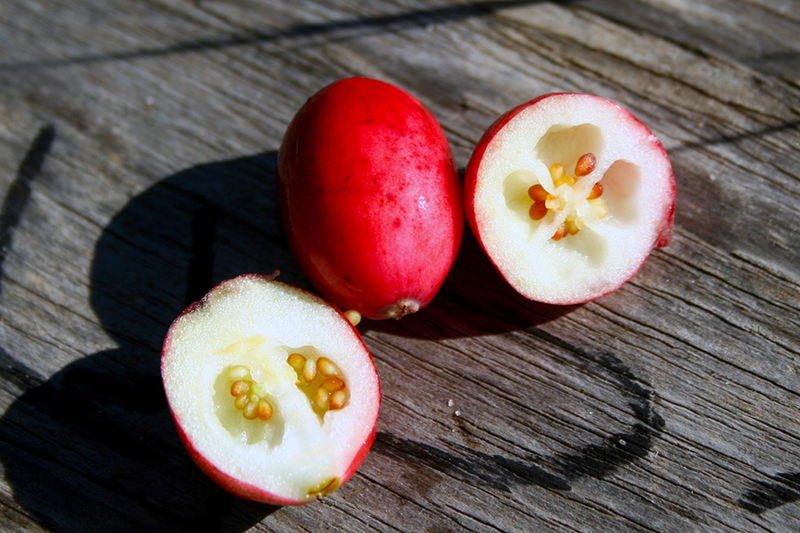 These beautiful flowers are followed by fruit that is a small, round, red color berry up to 10–15 mm (0.4–0.6 in.) broad, juicy, acidic berry, sweeter after frost. Fruit is initially green maturing to shiny dark red, and often persisting through winter. Each berry features four centrally placed tiny seeds enclosed in capsules. The berry is very acidic in taste, with pH in the range of 2.3 to 2.5. It mainly reproduces vegetatively. Cranberry season lasts from October until December. Cranberries are a major commercial crop in certain American states and Canadian provinces. Most cranberries are processed into products such as juice, sauce, jam, and sweetened dried cranberries, with the remainder sold fresh to consumers. 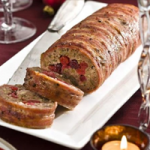 Cranberry sauce is a traditional accompaniment to turkey at Christmas dinner in the United Kingdom and at Christmas and Thanksgiving dinners in the United States and Canada. Cranberry is perhaps best known for its role in preventing urinary tract infections (UTIs), particularly for those with recurrent infections. Cranberries consist of higher level of antioxidant proanthocyanidins (PACs) which helps to stop certain bacteria from adhering to the urinary tract walls. 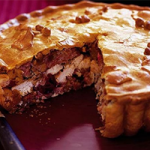 In this way, the PACs in cranberries help prevent infection. Cranberries are supposed to have cleansing, anti-diarrheal, anti-septic and diuretic detoxifying properties. They help the body to eliminate toxins and buildup, plus they aid in relieving water retention and bloating. Our digestive system goes beyond just our intestines and stomach — it is actually made up of our entire mouth, gums and colon too. Free radicals are present in the atmosphere and in some of the products used by us. These free radicals can cause the skin to age prematurely. Juice of cranberry consists of antioxidants that help to fight against the free radicals to slow down the process of aging, making the skin look firm and beautiful. Frequent consumption of cranberry or even applying its pulp can help to get rid of acne and blemishes. This method even helps to give a natural glow and blush to your face. Cranberries have been shown to have an anti-inflammatory effect, which can possibly benefit conditions like rheumatoid arthritis, stomach and digestive disorders, and our cardiovascular system, mostly the lining of our vessel walls. Cranberries consist of good amount of antioxidants, which help to flush out the system. This helps improves your metabolism and digestive system thus making you lose weight quickly. Cranberries are a good source of calcium that helps strengthen your bones, teeth and nails. It also reduces the risk of developing osteoporosis. It is also a good source of vitamin K, another important vitamin for overall bone health. Vitamin K helps maintain calcium in the bone matrix gives the bones higher resilience and prevents bone density loss. This in turn decreases the risk of fractures. Researchers continue to identify more and more ways that cranberries are helpful in slowing tumor growth, and have shown positive effects against certain types of cancer, including prostate, lung, breast, and colon cancer. Cranberry is acidic in nature. This helps to treat the oily skin. Mix some grounded oatmeal to the cranberry juice. Add a quarter cup of sugar and olive oil in the mixture. Blend everything together to make cranberry exfoliate. Rub this mixture gently on the oily skin. Rinse it with warm water and wipe it out gently. This mixture prevents sebum formation; thus helps to exfoliate the skin to offer it an oil-free look. Juice can also be mixed with honey. Rub the mixture on the face. Rinse it off with lukewarm water after leaving it for about 20 minutes. This works as an effective toner for the skin. Research involving participants who consume a normal dietary intake of cranberries, which is about one cup a day, show that the fruit can prevent the triggering of two enzymes that are essential in the development of heart disease. 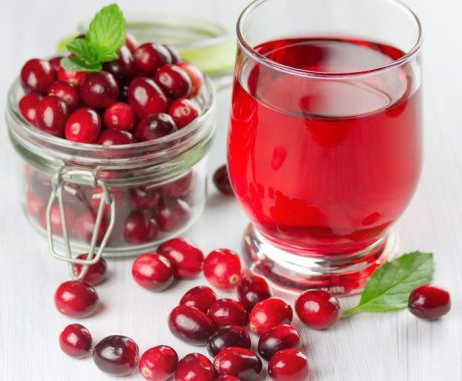 Cranberry has also been shown to prevent activation of these enzymes by blocking activity of a pro-inflammatory molecule called tumor necrosis factor alpha (TNF-alpha). Cranberries also boost oral health and help prevent dental problems like gingivitis, gum disease, cavities and plaque buildup. According to the research, the polyphenols in cranberries have potential benefits for dental caries and periodontal disease. These potential anti-caries agents prevent the production of organic acids and the formation of bio-films by cariogenic bacteria on the gums and teeth. 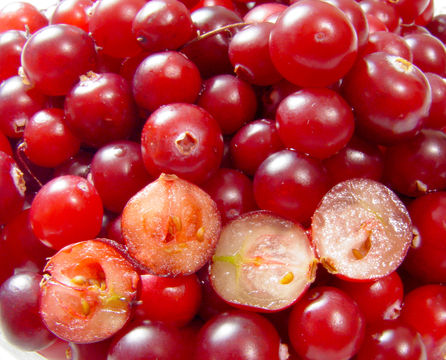 Additionally, the high vitamin C content in cranberries helps fight gum disease and infections. Drink one-half glass of unsweetened cranberry juice daily to help prevent bacteria from sticking to your teeth. Certain types of stomach ulcers are related to a particular type of bacteria called Helicobacter pylori, and it’s possible that cranberries may help prevent these bacteria from attaching to the lining of the stomach, similar to how they can help prevent bacteria from attaching to the lining of the urinary tract. Vitamin C, one of the astonishing components contained in cranberry juice, is essential for the formation of hydroxylisine, hydroxyproline, and amino acids required by the body to produce collagen. Oxygen and other important nutrients are responsible for keeping the skin firm and soft. They also make the skin look radiant and young. Collagen present in the cranberry juice helps to serve this purpose. Drinking cranberry juice regularly also protects the skin against the harsh weather conditions in winters. Cranberry can be used to make an all-natural lip gloss. Emollients and antioxidants present in it help in keeping the lips healthy. Take 1 tbsp of almond oil, 1 teaspoon of each petroleum jelly and honey. Add 10 -12 cranberries to the mixture. Mix all the ingredients together. Keep this mixture in microwave for about 1-2 minutes and let it heat until it begins boiling. Gently mash the cranberries and stir the mixture well. Let the mixture sit for some time till it comes to normal room temperature. Remove the cranberry pieces by straining the mixture. Stir the mixture and allow it to cool down. Now, apply a small amount of this mixture onto the lips. This will keep the lips look moist and help them remain healthy always. Many scalp conditions can be treated with the help of cranberry juice. The properties, such as anti-fungal and anti-septic help in preventing dandruff. These properties also contribute to prevent psoriasis. It can be applied on the scalp directly to remove the conditions. Damaged hair can be cured effectively with the use of cranberry juice as cranberry juice contains Vitamin C.
Immune-support benefits of cranberries are exciting. They are high in vitamin C, the best antioxidant for good immune power. 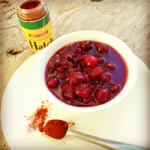 Additionally, the phytochemicals in cranberries promote a healthy immune system. People with good immune systems are less prone to get the common cold and flu infections. Drink a glass of cranberry juice a day to reduce the chance of becoming sick. Phytochemical components help lower blood glucose and lipid levels in individuals with type 2 diabetes. So if you or someone in your family is looking to prevent or reverse type 2 diabetes, there’s cranberry juice to the rescue! It is one of the wonderful options for diabetes. Native Americans used the berries, twigs, and bark for medicinal purposes. 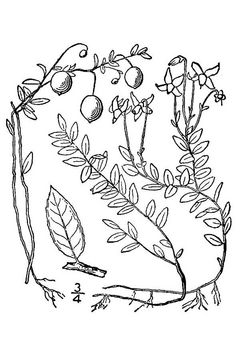 An infusion of the plant has been used to treat cases of slight nausea. It is also used to treat for urinary infections, cystitis, and scurvy. High level of acidity in cranberry prevents the growth of bacteria inside the body. It consists of Proanthocyanidins which fights against bacteria and prevents the infections. Pack prepared from cranberry helps to exfoliate the dead skin cells and eliminates the clogged pores. It reduces wrinkle, redness, hyperpigmentation and fine lines. It alleviates the signs of aging and prevents free radical damage. It slows down the process of age related memory loss. It combats oral problems like gingivitis and caries. It prevents the sticking of food and bacteria on the teeth. It improves the cardiovascular health and reduces the risk of heart diseases. It prevents the oxidation of LDL cholesterol and maintains the level of HDL cholesterol. It reduces inflammation and blood pressure. It reduces the risk of Heart attack, Stroke and Atherosclerosis. It improves blood flow and prevents the deposition of plague from the wall of blood vessel. It is a good herbal remedy in treating infection of the urinary tract. It is an effective cure for Leucorrhea. Its juice increases the excretion of oxalic acid and uric acid. It prevents bladder walls from bacterial attack and detoxifies the body. It inhibits the proliferation of cancer cells in Prostate, breast, liver, lungs and ovaries. It prevents oxidative stress: the prime factor which causes cancer. It inhibits the growth of tumor including Lymphoma, bladder, breast, colon, prostate, ovary, esophageal, lung, oral and gastric cancer cells. It strengthens the bones and muscles. It reduces the development of Osteoporosis and bone fracture. It is high fiber food which prevents indigestion and gastrointestinal diseases. It eliminates the waste from the gut and promotes the digestive health. Antibacterial property reduces the development of stomach ulcers. It fights against bacterial and fungal infections and is good for Candidiasis. It makes person less prone to infections like cold, flu and cough. Urinary Tract Infection: Take fresh cranberries and wash them. Extract the juice. Drink 2 glasses a day. Escherichia Coli: Take Cranberry juice two times a day. Haematuria: Drink cranberry juice two times a day. Hematospermia: Take one glass of Cranberry juice two times a day. Leucorrhoea: Consume 1 cup of cranberry juice once a day. Cold: Boil cranberry in cold water until it splits them. Strain. Add some honey and drink. Have it once a day. Piles: Drink 50 ml of cranberry juice once a day. Pyelonephritis: Have one glass of cranberry juice once a day. Obesity: Drink a cup of cranberry juice to lose weight. Gum Disease: Take 2-3 tbsp of cranberry juice and swish it in your mouth. Do it daily to prevents bacterial infections. Cansidiasis: Drink a glass of fresh cranberry juice twice a day. Cloudy Urine: Have half glass of Cranberry juice daily. Immunity: Have fresh cranberry juice daily. Cancer: Fresh cranberry juice helps in combating cancer. Atherosclerosis: Drink one glass of fresh cranberry juice daily. Blood Clots: Drink fresh juice daily. Kidney Stones: Take fresh cranberry juice and have 1 glass daily. Candidiasis: Drink a glass of fresh cranberry juice twice a day. Scurvy: Drink fresh juice of cranberry daily. Skin: For healthy skin, drink fresh cranberry juice daily. OR Apply on your face too. Hair: To get strong and shiny hair use cranberry. To repair damaged hair, add some apple cider vinegar. Aging: To remain young, drink fresh cranberry juice daily. Alopecia: Wash your hair with fresh cranberry juice. It treats dandruff and provides shiny hair. Psoriasis: Apply fresh cranberry juice on the affected areas. Alkalosis: Mix 1 tsp of honey in one glass of Cranberry juice. Drink it once a day. Candida Albicans: Drink one glass of unsweetened cranberry juice twice daily for one week. Mononucleosis: Drink 40 ml of fresh unsweetened cranberry juice once a day for one week. Mycosis: Extract the juice of fresh cranberries. Drink one glass of the unsweetened juice daily for one month. Sexually Transmitted Diseases: Drink 2 cups of fresh cranberries juice daily. Stomach Polyps: Have a cup of fresh cranberry juice every day or have 5 to 10 dried cranberries every day. Urinary Tract Infection: Have equal amount of Apple juice and cranberry juice. Mix them. Drink 250 ml of the mixture once a day. Urinary tract infection: Add 5 g of Buchu root powder in a cup of cranberry juice. Drink it once a day. Acne: Take 2 tbsp of fresh cranberry juice. Mix 1 tbsp of honey to it. Now take some dried orange peel. Powder it and mix all 3 ingredients well. Apply this paste on the affected areas. Leave it for 15 minutes. Wash it with cold water. It gives a soothing effect to the skin. It provides smooth and glowing skin. Urinary Tract infections: Add 1 tsp of Uva ursi leaves in 200 ml of water. Simmer it for 30 minutes. Strain it off. Add 1 tsp of unsweetened cranberry juice in this decoction. Stir it. Drink a half cup of it daily to keep your urinary tract safe from infection. Interstitial Cystitis: Boil 1 tbsp of crushed Uva ursi leaves in one glass of water. Simmer for 30 minutes. Strain it and add 1 tsp of unsweetened cranberry juice in it. Drink it daily. Cranberry fruits have good flavor and are often used to make jams and jellies. 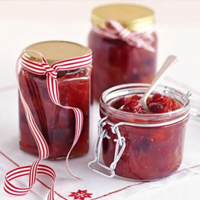 Fruit is high in pectin; this means that it can be mixed with fruits that are low in pectin to help them set when making jam. An acid taste, the fruits are usually cooked in preserves etc. These berries are also used in the production of cranberry wine. 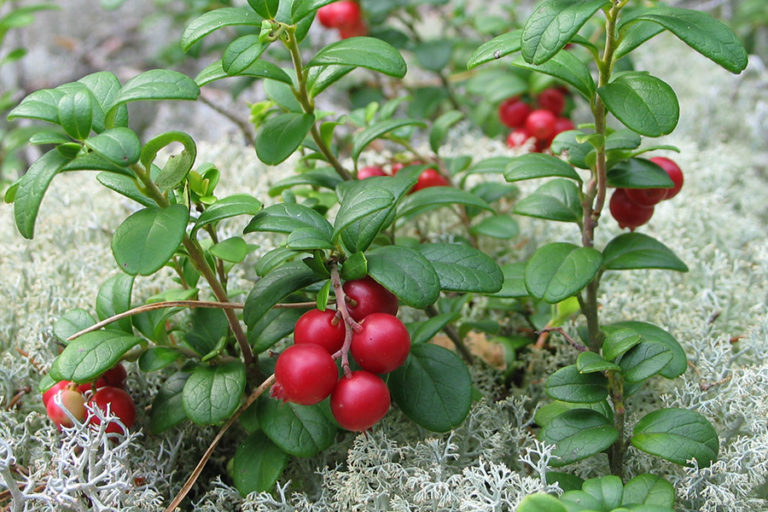 The berry is also used in baking (muffins, scones, cakes and breads). Fresh, whole cranberries are by far the most healthful option – and fortunately, you can freeze fresh cranberries to use throughout the year. 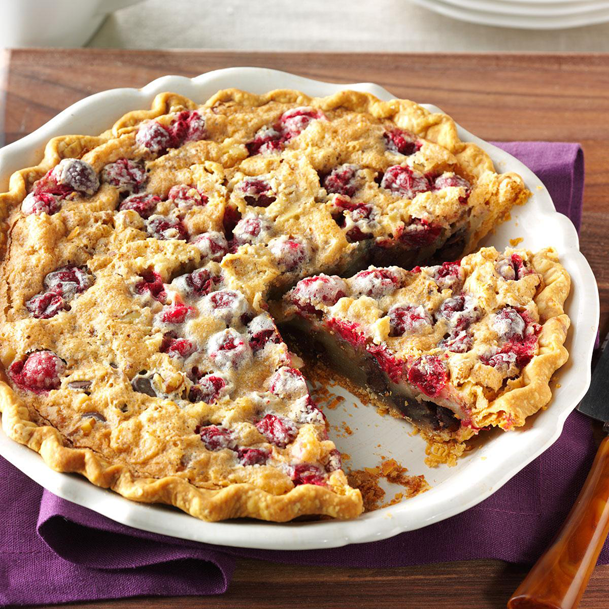 Here are six ways to enjoy fresh cranberries, beyond sugary sauces and sweet treats. Toss a handful of cranberries (fresh or frozen whole, with no sugar added) into your favorite smoothie for a low-calorie boost of antioxidants. This is mainly whole-berry cranberry sauce made with a zero-calorie sweetener instead of sugar. Simply boil one cup water with the sweetener equivalent of one cup of sugar. Add 12 ounces of fresh cranberries, and simmer for about 10 minutes, stirring occasionally. Pour into a bowl and serve at room temperature, or cover and refrigerate. Serve this low-sugar cranberry compote with grilled chicken or fish, or add it to hot cereal, yogurt, or cottage cheese. Blend fresh cranberries (or the above low-sugar compote) with plain 2 percent Greek yogurt, along with any other fresh fruit, herb, or spice of choice (lime, ginger, or mint work particularly well with cranberries), and freeze into Popsicle molds. Fresh cranberries can be blended and added to any salsa recipe, adding a sweet tartness. Freeze fresh whole cranberries to use as ice cubes in cocktails or even just sparkling water or iced tea. They’re a delicious addition to salads or whole grains like quinoa or brown rice. And they’re a cinch to make: Simply toss two cups cranberries with two teaspoons of olive oil, a tablespoon of chopped fresh mint, and one tablespoon of raw sugar or natural sugar replacer. Roast at 400 degrees for 15-20 minutes until they’re soft and slightly caramelized. Cranberries are native to North America and are farmed today on about 40,000 acres across the northern United States and Canada. They are commonly used in American, European and Middle Eastern cuisines and can be found across the world in dried form. Cranberry is a major commercial crop in certain American states and Canadian provinces, but the fruit definitely becomes most popular around the holiday season, used in many traditional side dishes at Thanksgiving dinners in the United States. Fall is usually the best time to get fresh cranberries, as they are harvested normally in September and October. This is the reason cranberries are used in many Thanksgiving and holiday season recipes, as they tend to be most available and fresh through the late fall and early winter. When choosing the best cranberries, look for fresh, plump ones that are a deep red color. They should be firm to the touch; the firmness is an indicator of quality. Deep red ones have a higher concentrate of the beneficial anthocyanin compounds. Cranberries can be found in 12-ounce packages, or they can be bought fresh and stored in a container. 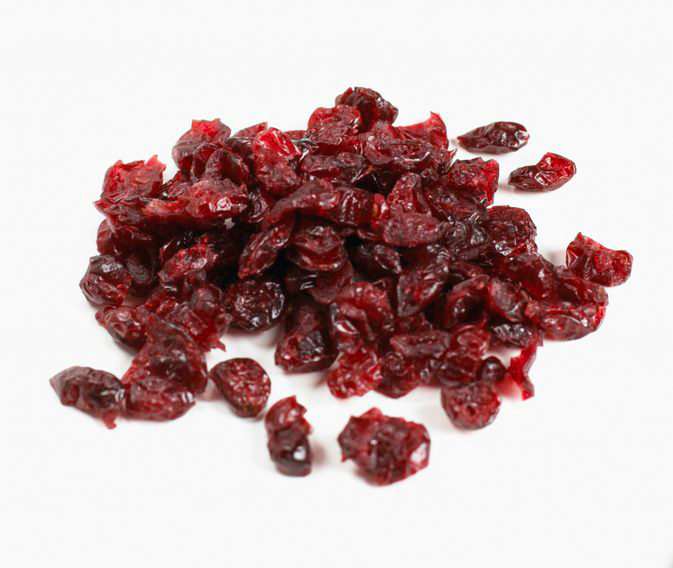 Dried cranberries are easy to find in any grocery store; look in the dried fruit or nuts section. Cranberries can be kept in the refrigerator for about 20 days, and they can be kept frozen for several years. You can refrigerate them for up to two months, or you can freeze them for later use. Looking for frozen cranberries in grocery stores is a great idea, because frequently you will be able to find them at less expensive prices and even in organic varieties. Cranberries can be eaten raw, fully cooked or in dried form. The health benefits of cranberries seem to be present most in raw form, but any way of eating whole cranberries will usually still provide great benefits, assuming they are not overly processed and mixed with loads of sugar, which they tend to be when used in commercially sold goods. Frequently, cranberries are sadly processed into products, such as juices, canned sauces, and sugary jams and sweetened dried cranberries, which kills many of their nutrients and also contributes a lot of refined sugar to someone’s diet. It’s a much healthier idea to cook your own cranberries from scratch if you can, so you are able to ensure you are getting the most nutrients possible and to avoid an excess of sugar. Juice of the fruit is used to clean silver. Red dye is obtained from the fruit. Plants can be grown as a ground cover when planted about 1 meter apart each way. Plants quickly form a dense carpet when they are thriving. Cranberries retain their maximum amount of nutrients and maximum taste when eaten fresh. Cooking destroys their nutritional properties. November 22 is National Cranberry Relish Day. Americans consume 400 million pounds of cranberries each year. 20 percent are eaten during Thanksgiving week. There are approximately 333 cranberries in a pound, 3,333 cranberries in one gallon of juice, 33,333 cranberries in a 100-pound barrel. Cranberries can be stored in the refrigerator for up to one month, or in the freezer for up to nine months. Flowers last 10 to 12 days and attract bees, main pollinators of this plant. They are often used dried or in the form of sauces, jams, juices and various cocktails. Cranberries are also known as bearberries, because bears also like to consume them. Cranberries were used as a source of red pigment for the coloring of cloth, rugs and blankets in the past. 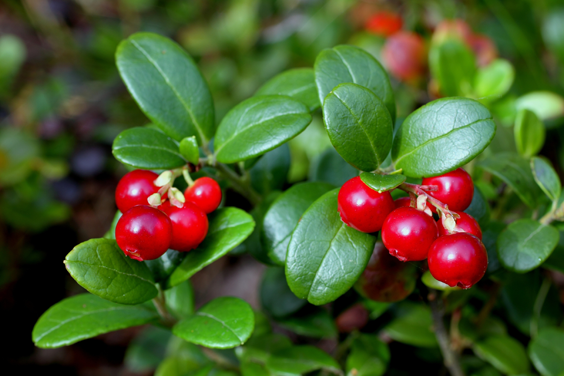 Native Americans used poultices made of cranberries to eliminate poison from the wound inflicted with poison arrows. Consumption of cranberries turns urine acidic. Cranberries are occasionally called bounce berries because they bounce when ripe. Sailors and whalers brought cranberries on board to prevent the development of scurvy. Wisconsin is the leading cranberry producer. 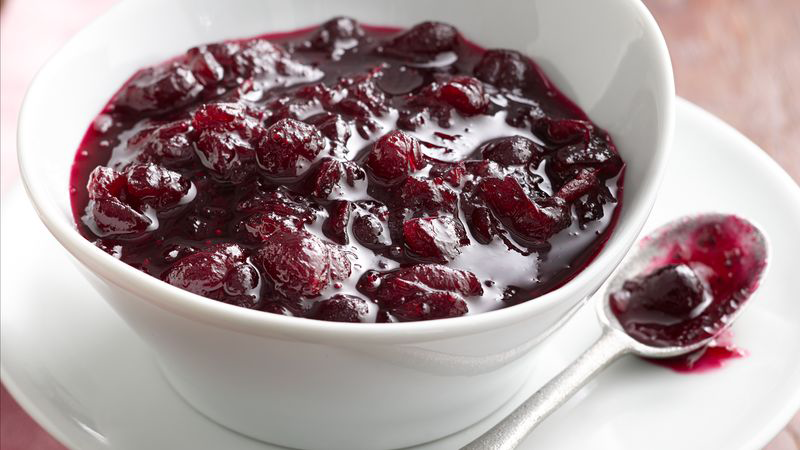 First cranberry sauce was marketed in 1912. It takes about 200 cranberries to make one can of cranberry sauce. Cranberry was made the official state berry of Massachusetts in 1994. Place cranberries in processor and blend until finely chopped. Transfer to a large mixing bowl and add chiles, cilantro, onions, and green onions. In a small bowl, stir together the sweetener and lime until sugar dissolves completely. Stir lime juice and pepitas into cranberry mixture and serve. Refrigerate any leftovers in a covered, airtight container. Place all ingredients except cranberries in a large heavy-based saucepan, then gently heat, stirring, until the sugar dissolves. Bring to the boil, then reduce heat and simmer, uncovered, for about 50 mins, stirring regularly until the apples and onions are tender, the mixture has thickened and no watery juice remains. Spoon the hot chutney into sterilized jars and seal (see instructions below). Store unopened in a cool, dark place. The chutney will keep for up to 6 months. Chill on opening. Heat oven to 190C/fan 170C/gas 5. Heat 1 tbsp oil and the butter in a frying pan, then add the onion and fry for 5 mins until softened. Cool slightly. Tip the sausage meat, lemon zest, breadcrumbs, apricots, chestnuts and thyme into a bowl. Add the onion and cranberries, and mix everything together with your hands, adding plenty of pepper and a little salt. Cut each chicken breast into three fillets lengthwise and season all over with salt and pepper. Heat the remaining oil in the frying pan, and fry the chicken fillets quickly until browned, about 6-8 mins. Roll out two-thirds of the pastry to line a 20-23cm spring form or deep loose-based tart tin. Press in half the sausage mix and spread to level. Then add the chicken pieces in one layer and cover with the rest of the sausage. Press down lightly. Roll out the remaining pastry. Brush the edges of the pastry with beaten egg and cover with the pastry lid. Pinch the edges to seal, then trim. Brush the top of the pie with egg, then roll out the trimmings to make holly leaf shapes and berries. Decorate the pie and brush again with egg. Squeeze the sausage meat from the sausages into a large bowl, then add all the other ingredients, except the cranberries and streaky bacon. Season generously, then get your hands in and mix well. Weigh out 450g of the stuffing and mix a handful of the cranberries into it. Use to stuff the neck of the turkey (see ‘Goes well with’). To assemble, butter and season a large sheet of foil. Stretch out the bacon rashers slightly with the back of a kitchen knife, then overlap 12 rashers on the foil. Spoon half of the stuffing mix evenly over the bacon, leaving a border of about 3cm. Scatter with half the cranberries, then pat them in. Tuck the long edges of the bacon over the stuffing; then, using the foil to help, roll the stuffing up into a log shape. Repeat to make a second roll. At least 3 hrs. before (or preferably a day), toss the lamb with half the cumin, coriander, sweet and hot paprika in a large bowl. Cover and leave in the fridge to infuse. Heat oven to 160C/140C fan/gas 3. Heat 1 tbsp of the oil in a large flameproof casserole dish over a high heat and season the spiced lamb well. Working in batches, fry until completely brown, then set aside. Add more of the oil as you need it and get some deep color on the meat – this will add to the flavor of the tagine. Once the lamb is browned, pour any remaining oil into the dish, reduce the heat to medium and add the onions, garlic and remaining ground spices. Cook for 5 mins until softened, then stir in the cinnamon sticks and cardamom pods. Return the lamb to the dish along with the tomatoes, plus 1 /2 a can of water and the honey. Bring to the boil, season, cover with a lid and put in the oven for 2 hrs 15 mins. 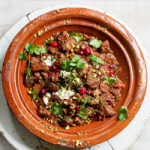 Bring the tagine out of the oven, give it a good stir and tip in the cranberries. Return to the oven, with the lid off, for a further 15 mins until the lamb is completely tender. Taste the tagine for seasoning and remove the cinnamon sticks and cardamom pods. 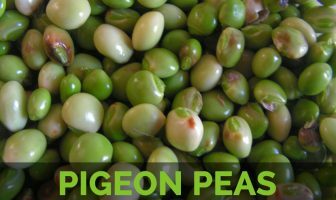 Scatter over the pistachios, yogurt and mint leaves, then serve out of the dish at the table with couscous. Diarrhea and other gastrointestinal disturbances with large amounts. Seek professional advice if suffering from kidney disease before using. People, who use the blood-thinning drug, warfarin, or Coumadin, should not suddenly increase their intake of cranberries. Avoid high intake of cranberries if you take blood-thinning medicine. People who have a history of kidney stones must talk to their doctor before including cranberries in their diet as they may increase urinary oxalate levels. People taking recommended aspirin should avoid consuming excess cranberry juice. People who are allergic to aspirin must avoid cranberries. Leaf Leathery, alternate, short-stalked, overwintering up to 1 cm (0.39 in) long. Flower Corolla is wheel-shaped, 6–10 mm (0.24–0.4 in.) broad, red–pink, fused, very deeply 4–5-lobed. Oxycoccus microcarpos Turcz. ex Rupr. Oxycoccus palustris var. ovalifolius (Michx.) F.Seym. Oxycoccus quadripetalus subsp. vulgaris (Blytt) Braun-Blanq. 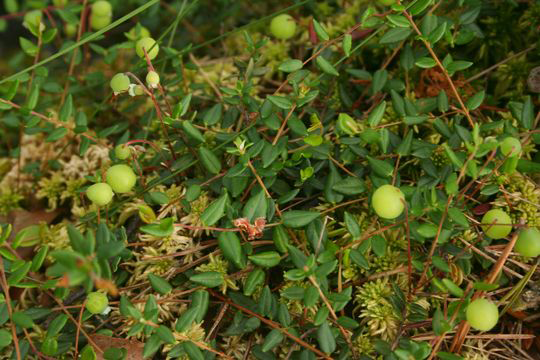 Vaccinium microcarpos (Turcz. ex Rupr.) Schmalh. 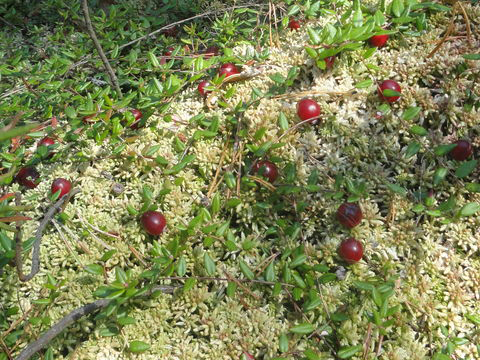 Vaccinium oxycoccos f. leucanthum (T.Shimizu) Yonek.